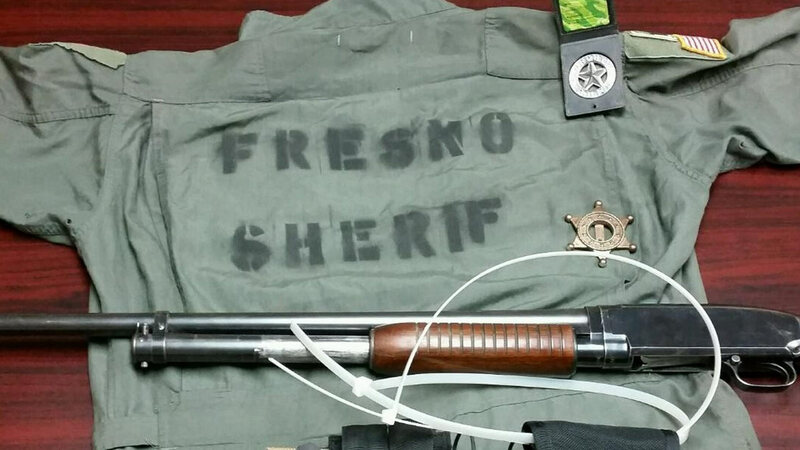 FRESNO, Calif -- The Fresno County Sheriff's Office says three men face charges for posing as law enforcement officers, illegal possession of firearms, ammunition and drugs. The following three men have been booked into the Fresno County Jail. All of them face charges related to illegal possession of firearms, ammunition and drugs. On Wednesday, Ag Task Force detectives conducted a probation search at a home on the 1600 block of E. American Ave. in Fresno. Detectives had received information that Kevin Rodriguez was at the location. He and his accomplices were suspected of posing as law enforcement officers and conducting home invasion robberies at locations with marijuana grows. Detectives found Rodriguez, Fleming and Artphasook at the home and took them into custody. The probation search at the house revealed numerous items which could be linked to the alleged crimes. Detectives searched a SUV believed to be associated with the robberies and found a pump-action shotgun hidden under the rear seat, along with ammunition.